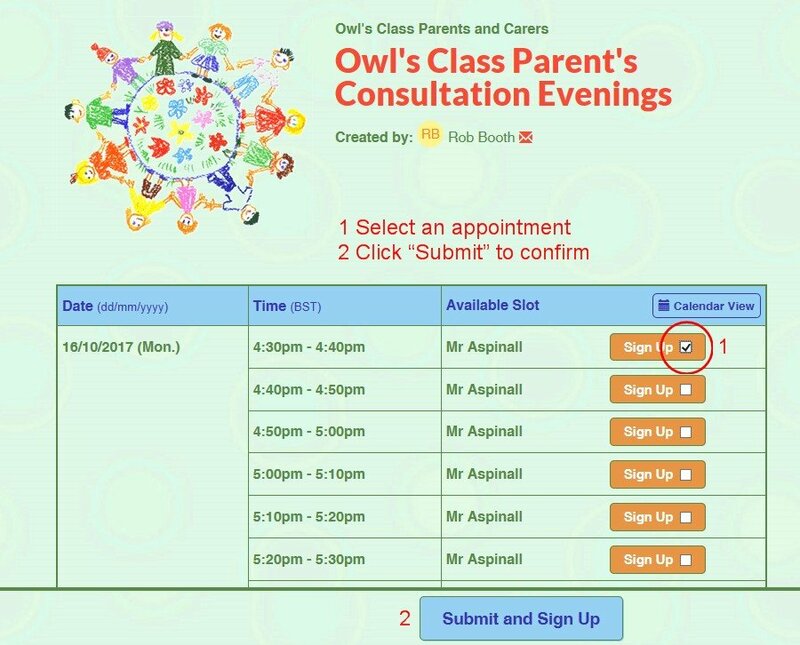 The following links will take you to the online signup pages for our Autumn parent consultation evenings. 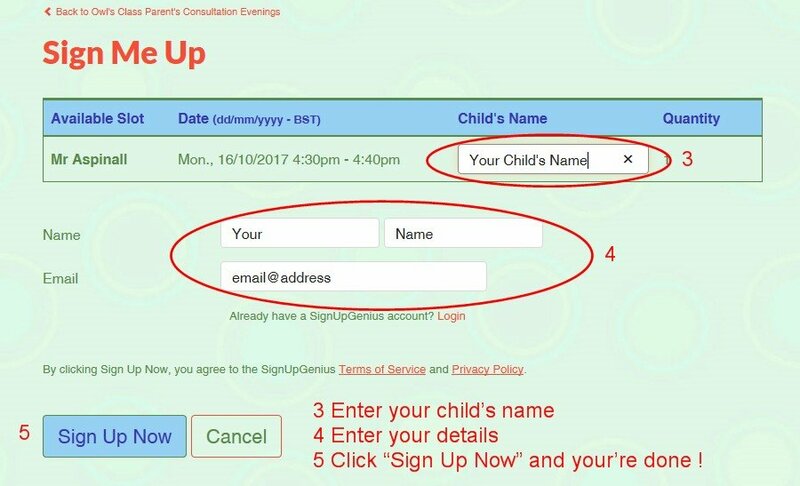 When booking, a child’s name is optional and may be omitted for your family’s privacy. If you need help with booking, take a look at the screenshots below; or contact us at the reception.